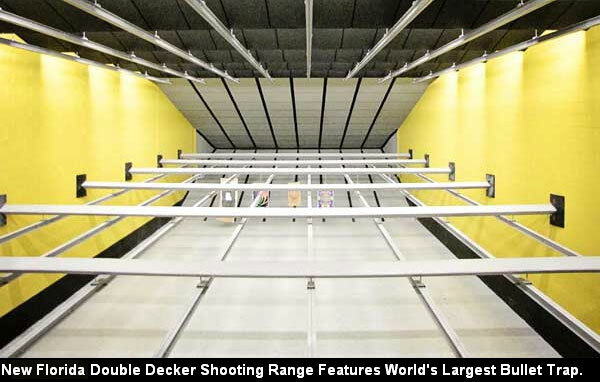 Bet you’ve never seen anything like this before — a “double-decker” indoor shooting range. Lotus Gunworks of Jensen Beach, Florida, operates a super-sized twin-lvel indoor shooting range featuring a two-story-high steel funnel bullet trap. Nicknamed the Lotus 8/11 for the number of steel panels used to create it (eight panels on the bottom slope and 11 panels on the top slope), this version of Action Target’s Total Containment Trap is the first of its kind. “No one has ever seen a range like this before” noted Lotus Gunworks’ Robbie Abell. Abell came up with the two-story concept when it became clear that the new Lotus building in Jensen Beach was not wide enough for two side-by-side ranges AND a gun store. Necessity was the mother of invention… Lotus wanted at least two ranges, so the only option was to make a double-decker range where both levels shot into the same bullet trap. Indoor ranges require ventilation to remove potentially hazardous dust and lead particles. The sheer size of the double-decker range presented a unique challenge, but Carey’s Small Arms Range Ventilation installed a system that can completely replace all the range air every 80 seconds. While the Lotus Range may have the first two-story bullet trap, it’s not really the first-ever double-decker indoor shooting range. Other multi-level ranges exist, they just don’t have the giant bullet trap. In fact, some of the multi-level ranges in Europe are bigger and even more sophisticated. 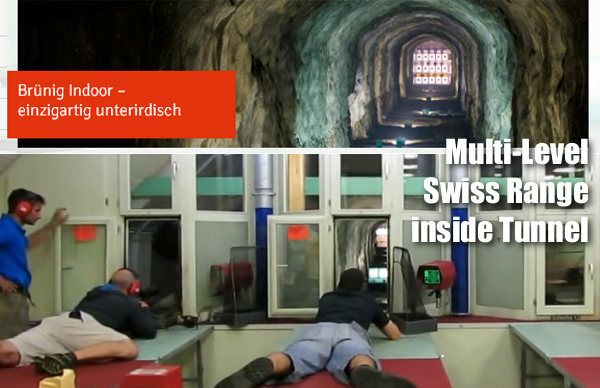 Switzerland boats a popular shooting facility built completely underground. The large, deluxe Brünig Indoor facility includes a 300m underground range with multi-level shooting stations. 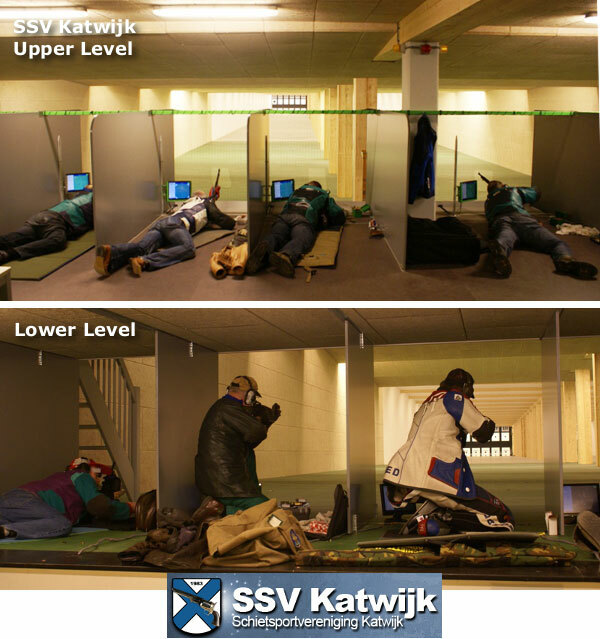 Share the post "Double-Decker Indoor Shooting Ranges"
Oregon State has a double decker range for small-bore only. 16 lanes total, 8-over-8. It used to be a boiler room I believe before conversion. I always wonder when the time will come that my target falls out of it’s clamp in the middle of a match. We have an indoor small bore shooting range with two levels in my hometown in New Zealand . Nothing flash, just double the number of shooter in one relay.